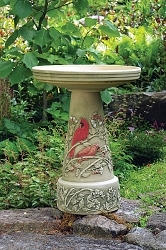 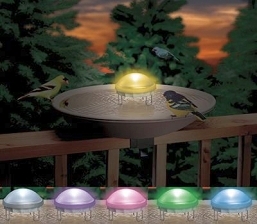 Beautiful water feature for your birdbath! 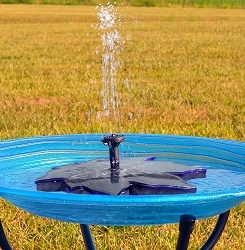 Bird bath water movement attracts more birds! 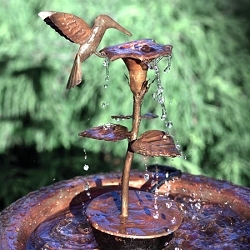 This beautiful flamed copper dripper will compliment any birdbath. 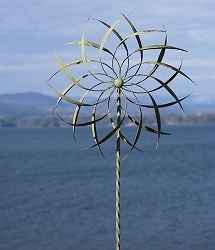 The handcrafted copper lotus flower dripper fountain provides a gentle stream for birds. 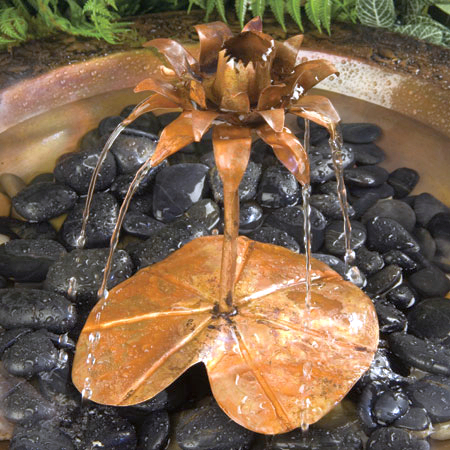 Water gently trickles and splashes from the petals of this pretty, copper lotus flower birdbath fountain/dripper. 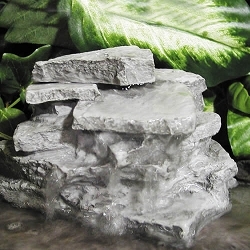 Birds can’t resist the moving water and you’ll enjoy the relaxing sounds and atmosphere. 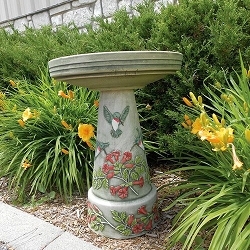 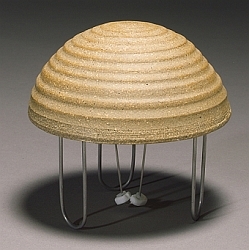 A lily pad base holds the vertical lotus blossom 11 inches above the base. 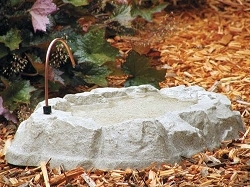 Grounded AC whisper pump (UL approved) and 6' cord is included. 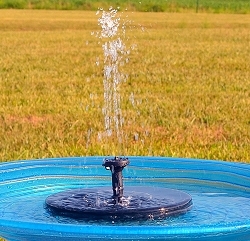 Water flow can be adjusted using the bottom of the fountain. 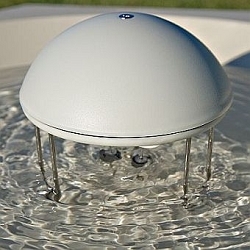 Birdbath sold separately.